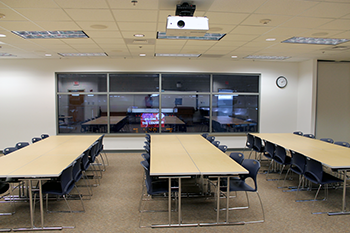 The Skybox Classrooms at The Coliseum consist of three separate classrooms with stunning views of The Arena. 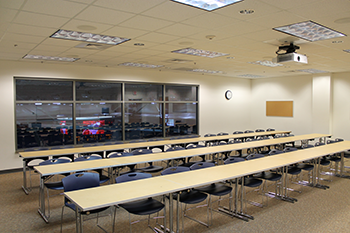 With the ability to combine two of the classrooms by simply removing a temporary wall, the possibilities are endless with this event space. The Skyboxes are equipped to handle technological needs as well: they each contain a Sympodium Interactive Display, DVD/VHS capabilities, computer/internet access, and a document camera. Skybox 3006 29'4" x 36'2"
Skybox 3008 29'4" x 34'2"
Skybox 3009 29'4" x 34'7"